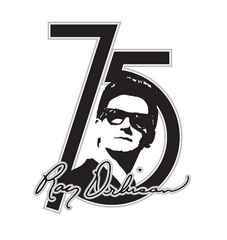 Joyride Media helps you celebrate Roy Orbison's would-be 75th birthday in style with two one-hour specials and ten 75-second modules with music and interview clips. Playlists below shows 54:00 versions. Click titles to also access the 59:00 programs. Roy Orbison was cool in color, even better in black & white. ROY ORBISON - BLACK & WHITE NIGHT Takes you behind the scenes of Roy Orbison's iconic 1987 TV special backed by an all-star band that helped relaunch his career and continues to amaze both old and new fans every time it re-airs on public television. Features performances and comments by Bruce Springsteen, Tom Waits, Bonnie Raitt, Elvis Costello, Bonnie Raitt, k.d. lang, Jackson Browne and others. In: "He's very much like a tree. He's rooted, and he's strong, but he's as gentle as anything." Out: "I'm Dave Marsh, and you're listening to Roy Orbison: Black & White Night." In: "Welcome back to Roy Orbison: Black & White Night. I'm Dave Marsh." Out: "I'm Dave Marsh, and thanks for listening." Out: "I'm Dave Marsh, and welcome to Roy Orbison: Black & White Night." An additional one-hour radio special, also available on PRX An intimate portrait of Roy's full career from the Teen Kings to Sun Records, his huge 60s hits to his 1980s comeback, and his timeless influence still felt 20 years after his untimely death. Includes classic tracks like 'Only the Lonely' and 'Oh, Pretty Woman' plus previously unreleased sessions and home demos. Produced by JOYRIDE MEDIA - same team behind many acclaimed Johnny Cash and Willie Nelson radio specials. The host is acclaimed rock music journalist Dave Marsh. Programs are available at no cost all USA radio stations with FM, AM, or HD signals. Each hour includes breaks for local spots, no embedded national spot, no barter inventory. Online use is limited to the simulcast stream of an FM/AM/HD terrestrial broadcast. Roy Orbison widget with podcast series and videos available for websites. Roy Orbison rocked, especially when he growled. ROY ORBISON - THE SOUL OF ROCK & ROLL New one-hour radio special documents the life and music of Roy Orbison through his songs, his own words, and comments by many musicians inspired by him - Barbara Orbison, Bruce Springsteen, Elvis Costello, Jeff Lynne, Tom Waits, Robin and Barry Gibb, Chet Atkins, T-Bone Burnett and many more. Produced by JOYRIDE MEDIA - same team behind many acclaimed Johnny Cash and Willie Nelson radio specials. The host is acclaimed rock music journalist Dave Marsh. Broadcast window begins October 2008. Programs are available at no cost all USA radio stations with FM, AM, or HD signals. Each hour includes breaks for local spots, no embedded national spot, no barter inventory. A BLACK & WHITE NIGHT: An additional one-hour radio special also available on PRX. Takes you behind the scenes of Roy's iconic 1987 TV special backed by an all-star band that helped relaunch his career and continues to amaze both old and new fans every time it re-airs on public television. Please consider scheduling over Thanksgiving weekend or early December to coincide with the PBS HD premiere of the A BLACK & WHITE NIGHT television special, and the 20th anniversary of Roy's death (12/6/2008). In: "It was so revolutionary to hear a voice like this..."
Out: "I'm Dave Marsh, and you're listening to Roy Orbison: The Soul of Rock & Roll." In: "Welcome back to Roy Orbison: The Soul of Rock & Roll. I'm Dave Marsh." Out: "I'm Dave Marsh, and welcome to Roy Orbison: The Soul of Rock & Roll." Ten 75-second modules to celebrate Roy Orbison's would-be 75th birthday in 2011 (birthday is 4/23/1936). Brand-new one hour special from Joyride Media takes in depth look at Roy Orbison's 1989 posthumous comeback album, "Mystery Girl." Full Radio show is now uploaded, 59:00 and 54:00 versions. More details on the special will be posted here soon. 1. "You Got It" (original version). One of the biggest hits of Roy's career, co-written with Tom Petty and Jeff Lynne. 2. "The Way is Love" (Brand new Roy Orbison song). Roy's sons and John Carter Cash added new backing track to casette demo, much like the Beatles "Real Love" and "Free as a Bird"
3. "She's A Mystery to Me (demo)" Roy's previously unreleased early take with its songwriter, Bono (U2). Check out Joyride Media's Roy Orbison PRX Playlist for more related shows here at the Public Radio Exchange.